So where do our agents popup? Summary: Chatbots are here to stay! And the next step is animation on mobile phones! Yes, Chatbots on Facebook Messenger are popular these days. But even through the developments seems quite impressive, we’ve only just begun. As soon as they start to understand our emotions a bit, be prepared for full visual interaction. These animations provided by Expressive AI show you what is already feasible today! London Luton Airport, Birmingham Airport, Bristol Airport, Edinburgh Airport, Dubai Airport, and Frankfurt Airport, the global interest in sophisticatedly improved customer travel experience is growing. What is the exact history of holographic airport announcers evolution? Summary: Conversational technology is more than a voice, face and search. A recent blog post by a tech writer compared the Natural Language Processing (NLP) technology that is behind Intelligent Virtual Assistants (IVAs) like Ann at Aetna or Jenn at Alaska to the hologram technology used to resurrect Tupac for Coachella. The comparison sheds light on the reality that people – tech writers included – still do not understand that conversational NLP technologies in the form of IVAs are more than a voice, face and search. Could anyone at Coachella have a conversation with Holo-pac? No. Or would the same comparison be made of Siri? Siri doesn’t have a face, so probably not. Dr. Roman V. Yampolskiy from University of Louisville claims that artificial conversational entities, shopping bots, and intelligent software applications became closer in their abilities and intelligence to human beings. Therefore arised the need to recognize and verify the identity of such entities just like it is necessary to authenticate the identity of people. New, future oriented field of artimetrics, i.e. artificial biometrics, focuses on recognition, verification, and authentication of virtual agents, robots and other nonbiological entities. As a sub-field of cybersecurity, artimetrics is being developed in Cyber-Security Lab, which prides itself on being the world’s first to conduct this kind of research. Experience a foreign or distant world without actually being there: Japanese researchers leaded by professor Susumu Tachi at Tachi Laboratory have developed Telesar V Robot Avatar which delivers a remote experience straight to its operator by transmitting sight, sound and touch data. You can actually feel the shape and surface unevenness, and also the temperature of objects. Children with autism can develop skills they normally find difficult by interacting with virtual worlds. By using multitouch, these children activate a virtual character on a screen and experiment with different social scenarios. 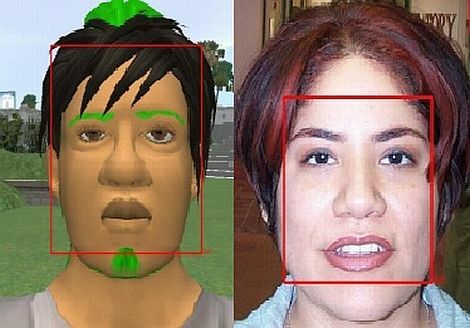 This way, researchers can compare their responses to those displayed in real-life situations. 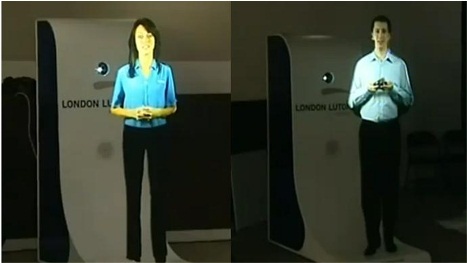 Various airports (such as Paris, London, Birmingham and Manchester) are experimenting with so-called virtual boarding agents, these are virtual agents which for example kindly greet passengers when boarding or explain security measures before going through customs. Blue Mars is a 3D virtual world platform enabling users to meet, chat and share their common digital experiences. 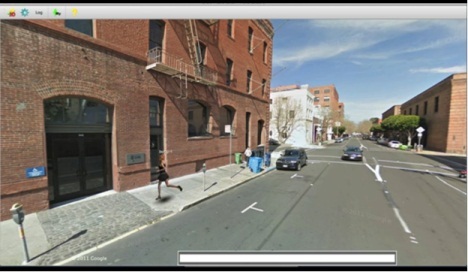 Blue Mars Lite application goes one step further: Meet other avatars in real-world locations on Google Street View.